Everyone will love this jumper, because there is a Ranger for every boy and girl! 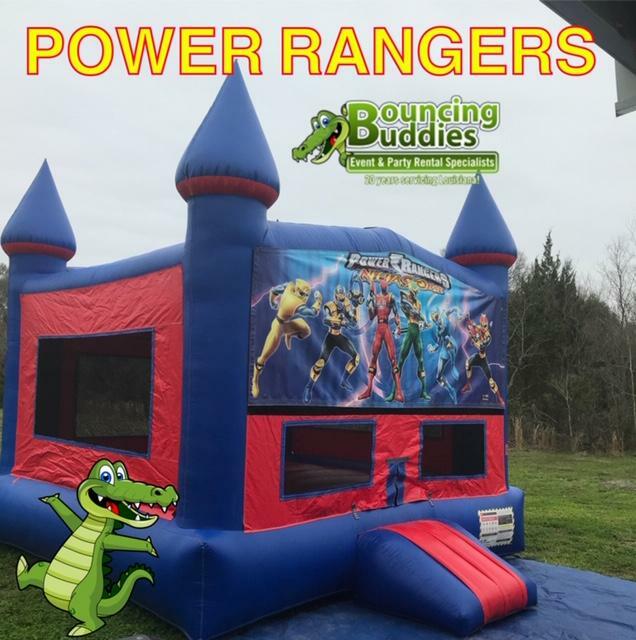 This Power Rangers Bouncer is very large and spacious. 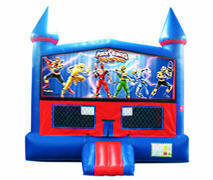 Bright colors with graphic print of characters .It features an inflatable safety ramp at the entrance to protect excited kids as they scramble to get inside the bouncer. It also has large netted vent windows that keep things cool for the kids and allows parents to keep a watchful eye on all activities inside. Appox 6-8 users at a time.